This also comes with an answer sheet for each page. 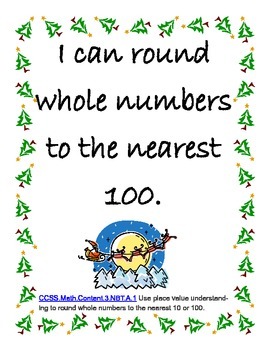 Finally, there are "I Can..." statements related to CCSS that can be printed and posted in your room. 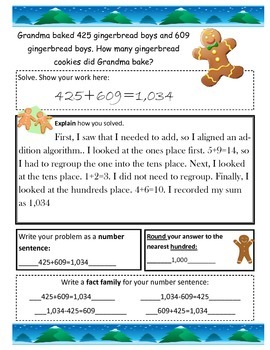 This helps students with the CCSS 3.NBT.1 and 3.NBT.2. 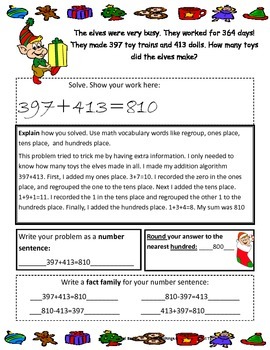 Personally, my students needed a lot of work with regrouping and explaining their answers (like they need to learn to do for the common core), so I created this to help them. They all benefited greatly from this practice. I worked with them in small math workshop groups for one example and had them work on the others for independent work group. 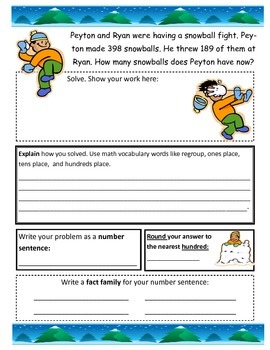 You could also do this whole group, as morning work, or as homework.